Foooood oh yes, that what I wish to talk about surprise surprise!!!!!! I just want to share my delightful experience from one of my evening out this week. 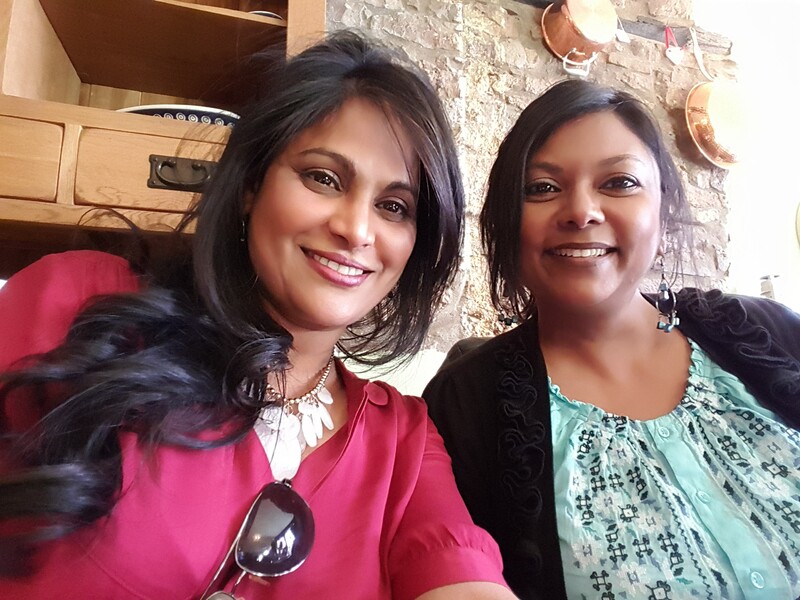 Jessica and I had a lovely evening girls midweek night out to sample Food & Wine with Romy Gill , Andy Clarke, Kim Sumauroo and their lovely team. When choosing the right wine to go with a curry or any other spicy food, it can be a bit tricky. There are still a deep-rooted aversion to which ones goes with curry. Taste is very unique to each person, but when it comes to food and wine matching, certain flavours bring out the best in each other. 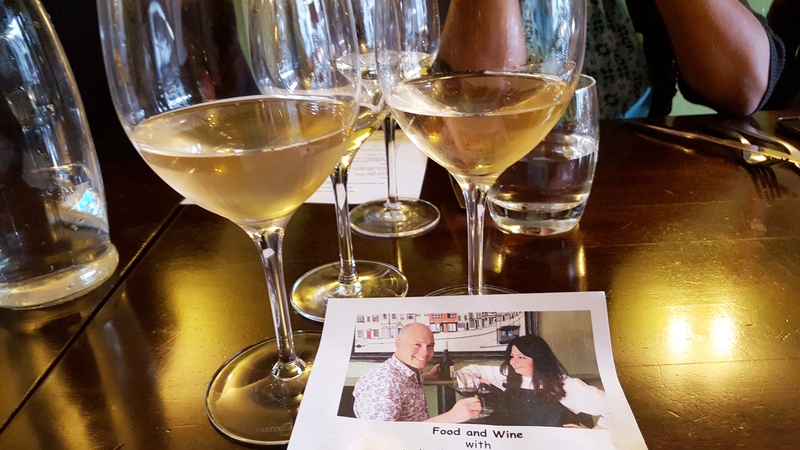 I was quite excited to have attended the Food & Wine tasting where wine were carefully selected and paired with some of Romy’s delicious dishes. I love my food but when it comes to food and wine I am in even more love with these combination. This evening dinner was just amazing – many people relate a good curry with larger, but not in this case. 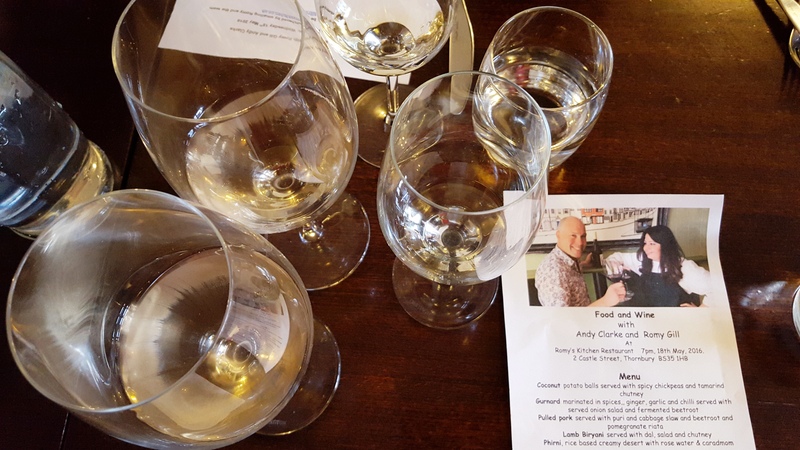 Andy Clarke is a genius, the way he combined the different wines from white to red, sweet to medium dry, sparkling to dessert wine – good heaven give me more. Andy’s choice of wine which we tasted with every course of the meal were out of bound and complimented the most delicious food prepared by Romy and Kim. From the minute we walked in Romy’s kitchen we were greeted with such hospitality and warmth. I just love Romy’s quaint restaurant, it feels so homely and comfortable just like going to someone house for dinner. The warmth and the decors throughout the place is enough to make one want to casually walk around and mingle. As we arrived I could smell such lovely aroma wafting through, my appetite, taste buds were tingling. I knew we were in for a treat…and quite honestly we were spoilt with good wine, delicious food and in the cutest dining room. Followed by a glass of Fizz Italian Finest Pignoletto & a British Balfour Rose (from Kent), cold and refreshing drink. Next what better to serve a delicious starter of potato balls, chickpeas and tamarind chutney with this amazing Haus Klosterberg Riesling (my favourite). This was so refreshing chilled with the little spicy chickpeas, that certainly exploded with a tingle in the taste buds. I say this was a teaser because soon after it was followed by the second starter of the succulent spiced marinated Gurnard with a chilled glass of Jean Biecher Pinot Gris. I am a big fan of fish, and I just love it when it’s got spices as well, and goodness this was just the ticket. Soft flaky fish with a hint of spice, crispy onion salad and fermented beetroot. Does this sound crazy of course because all these flavours burst with craziness in the mouth, so good with such a great combination of flavours. Should I continue…..the evening is not over yet. We are only half way, now it’s time for the red wines. Puri “gharam gharam” hot hot puri (fried Indian bread) served with pulled pork with added bonus of a sweet beetroot and pomegranate raita. What do I say to such Indian desi food, I was lucky enough to see Romy and Kim busy in the kitchen rolling and frying these fluffy Indian bread. Hot puri that puff up as soon as it hit the hot oil, tempting as it was I so wished I could have eaten it there but I had to resist. Then comes Andy with the red wine, warm textured, as you swirl the glass and the gorgeous rich colour is revealed. First sip to taste, as it rolls in the mouth I could taste rich, warm soothing totally captivating the moment. Great pair with the dish and this time it’s another Italian Villa dei Fiori Primitivo. Hang one not quite over yet……the star of the show when a big plate of Lamb Biryani comes out, as the aroma spread across the table. No time to waste, and how one resist when a piping hot plate of Biryani is presented to you. One of the most favourite meals in Indian Cuisine, so tasty, so flavoursome that totally blows your senses away. A good Biryani with alovely red wine – Renwood Amador. Yeahhhh it dessert time, and a sweet white wine, the chosen one was Asti “Vietti Cascinetta Moscata”. Who would think we would be enjoying this wine with a “Phirni” creamy rice pudding with rose water and cardamom… well Andy did. Spot on, it was just too good to say not to the last wine tasting of the evening and such a perfect way to complete the meal.